Many brilliant shows have been cancelled before their time: this year famously Brooklyn Nine-Nine was saved within 24 hours of FOX’s announcement. Others haven’t been so lucky, with Dirk Gently, The Hour, and Pushing Daisies amongst the victims that I still mourn. Miraculously, amidst this loss sometimes the fan response is enough to warrant an ending, for better or for worse. 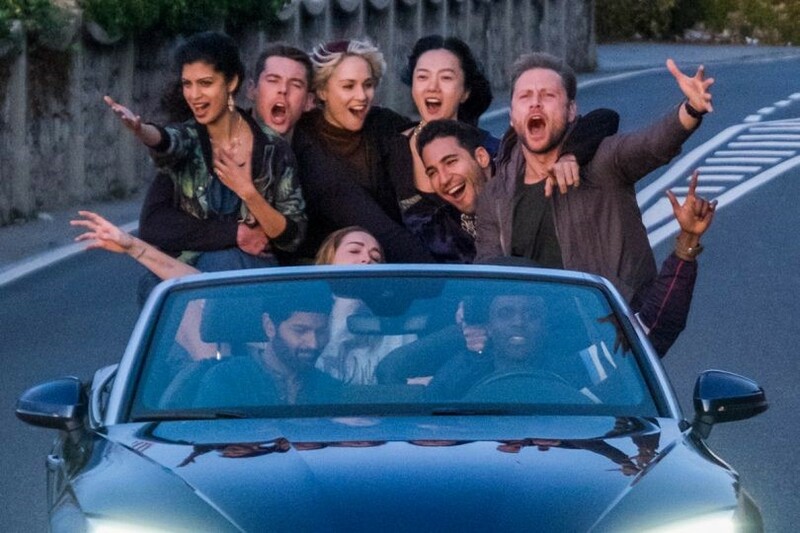 Veronica Mars and Firefly got movies to finish their stories and, in the case of Sense8, after cancellation last June, Netflix allowed a 2-hour special. 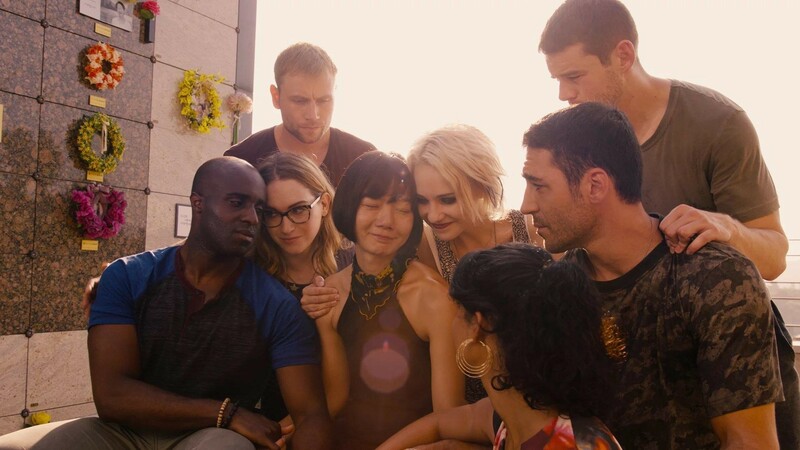 It was heart-breaking to see such a glorious show cancelled: the Wachowskis prioritised diversity in their stories and casting, and showcased the beauty of cultures all over the world. Within the melodrama of the plot there was a danger of stereotyping certain characters, but the writers avoided overly two-dimensional, negative portrayals. Sensates each bring their own wisdom: the combination of a scientist, DJ, hacker, fighter, thief, actor, cop and a driver made for brilliant fight and chase scenes as always, with the cinematography and editing flawless in its transitions. Authenticity was essential – casting talented actors of the appropriate ethnicities and a trans woman playing a trans woman (decisions I should take for granted but haven’t been able to). Though the primary language you hear is English to establish commonality between characters, when outsiders observe the cluster, you understand that the characters are speaking their original languages. For instance, when Rajan walks in, Capheus exclaims in Swahili and Kala talks to him in Hindi. However, the price of their panoramic on-location shooting between a dozen countries came to a $9 million budget per episode, something Netflix couldn’t no longer afford. The fans were a force of nature, fighting for this rare representation so, within a month this finale was announced. The special allowed the show to go out in style: filming occurred within 27 days across four cities including the rare commandeering of the Eiffel Tower. Expectations on this ending were high – it’s so difficult to put a season’s worth of planned sci-fi mythology into such a short space of time, and arguably in that sense, this finale was rushed. Angelica’s story was told somewhat hastily by intermittent Jonas flashbacks and the nefarious plans of BPO speedily introduced. Though Whispers may have been a worthy villain, the creepy British Villain™ of many names and faces throughout the 2-season arc, the self-contained story of the Chairman felt too quickly written in to justify shock at his demise. Similarly, it was great to see more of the Archipelago (Mr Hoy is a personal favourite of mine) and have the connection to Ruth El-Sadaawi re-introduced through River. But conversely, the introduction of the Lacuna while impressive and providing context to Bodhi again, was clearly a story that required more time to fully appreciate and visualise. 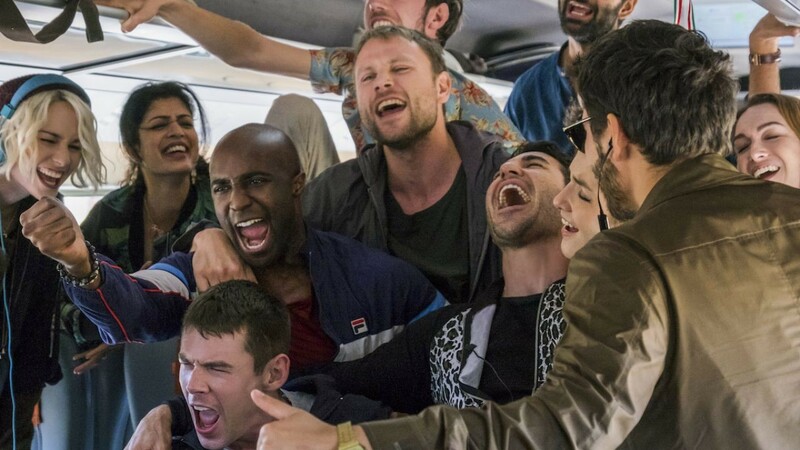 However, Sense8 has never truly been about the details of the plot, as good a premise as it is. The heart and soul has always been about the power of empathy, and the relationships within the cluster and outside of it. In this sense, they most definitely delivered. Again, though quick, it was so fun to see the characters outside of the secrecy catching up, with Bug acting as the relatable outsider, nodding and grinning, capturing my emotions as the watcher perfectly. Having them all under one roof for the first time was comedic genius; I absolutely adored the chaos that ensued as Lito was incredibly still prepping for his new role and everyone around panicked on their phones, all the while Sun calmly doing her signature roof-top Tai Chi. In tune with some of the best scenes in this show (see: the S1 final scene and S2E1, masterpieces of soundtracking in my opinion) the musical moment on the way to Naples was so joyous to watch. To see them all lip syncing like nobody could see, inter-cut with the contrasting passive scenes of how nobody could actually see was hysterical and heart-warming. The inclusion of Lito’s family to the team was fleeting but golden. Though I stand by my discomfort within season 1 of Daniela’s invasion of privacy and objectification of the couple, I love their family dynamic. Dani’s empowerment after her history of abuse was important and her confident dismissal of Whispers as a man to be pitied “mistaking cruelty for strength” so in line with the morality of the show and powerfully delivered. Consistently, the need for creativity and emotions alongside the more overt logic and physical ability has been reinforced e.g. Riley’s talent as a DJ, Kala’s moral compass, Capheus’ optimism etc. and in this tradition, Hernando’s scenes were amazing. His philosophical commentary throughout and his delivery of the episode title “Amor Vincit Omnia” as a tour guide maintained the poetry of the script wonderfully in this violent conclusion. The wedding was everything I hoped for and considering that they had to film within just 2 hours at night, they did splendidly. From season 1, when Nomi immediately told Amanita everything she was feeling and seeing, no matter how crazy, I knew they were a couple I could believe in. As the episodes progressed, they became a Nancy Drew style duo I’d totally watch in a spin off, and time after time they rescued and supported each other. Learning more about their bookish origin story and Amanita’s dream of working at Shakespeare & Co (same!) were the important little details that made my heart melt and their vows were beautiful “I want to bring you tea as you write your novel” (goals!). The positive LGBT representation has been invaluable to the community, including appearances of the cast at Pride in Los Angeles, San Francisco and Sao Paulo. True to the rest of the show, this finale was rated-18 and graphic as ever, in violence and in sexuality. Though I admit discomfort and skipping ahead, I could appreciate the full circle of the ending. Seeing the moment when Nomi and Amanita met was adorable and as someone tired of the unnecessary romantic angst, the resolution to Kala’s indecision was admirable. Rajan became a better, more open-minded character in this episode, a testament to the impact of joining this found family. The simplicity of Sun and Mun’s relationship worked well for me, long established as one of mutual respect, the development in this special, though brief, was pitch perfect. A highlight for me was the clip that showed him “meeting her family” a.k.a. her gorgeous dog, I expected nothing less. There is an argument to be made that within “I am also a we”, the focus on romance overshadows individuality and friendships. Riley’s mental health problems remained unaddressed after her romance with Will, and there are some duos like Capheus and Kala, or Sun and Wolfgang which would have been excellent to see. All in all, though it was so clear which elements of the plot were intended for more build up and suspense within the lost third season, the essence of the story was captured within this special. I will always want more to have certain dynamics explored further and the show isn’t above critique by any means, but in my heart: I’m content with this conclusion. The team poured so much love into this story, the set seemed like such a unique, positive atmosphere and having watched so many times: it has been a truly incredible journey. Sense8: Creating The World (2015) a great behind-the-scenes documentary available on Netflix where you can see the process of filming season 1 with so many countries and crews. Cloud Atlas (2013) essentially the same team who brought you this episode. A novel by David Mitchell (one of the writers credited in this episode) adapted and directed by The Wachowskis and Tom Tykwer. A very similar premise with 6 souls connected throughout time and space, with the same actors creatively playing different roles within each timeline to connect. Orphan Black (2013) I may have mentioned this for my previous article on Killing Eve, but it remains an excellent standard for character dynamics. 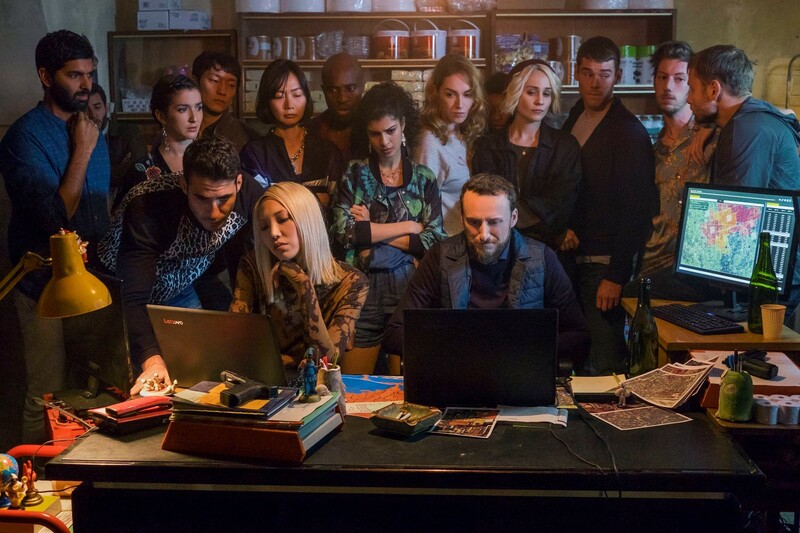 Watching the conspiracy unfold in Sense8 was reminiscent of the unravelling overarching plot of Orphan Black. I had déjà vu of the same satisfaction seeing vastly different yet lovable characters with their biology in common come together as a dysfunctional family. 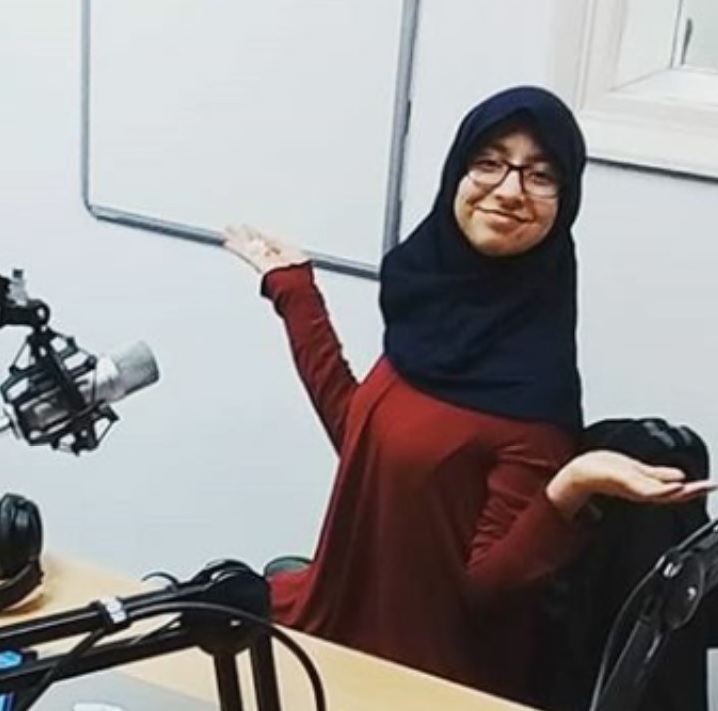 Fatima is a second year biomed at the University of Sheffield. For insight into her personality, her favourite films are: Bright Star, Paddington 2, Taare Zameen Par and Pride & Prejudice and in 2017 she listened mostly to the Hidden Figures soundtrack. Mainly she is an avid TV watcher, particularly shows with original concepts, witty writing and diverse casting. Examples include Legion, Gravity Falls, The Hour, Gilmore Girls, Sense8... and for more, her Twitter and TVShowTime are both @lafatimayette.